Pour the panko into a shallow dish (like a pie pan) and toss with 3/4 tsp. salt and 1/4 tsp. pepper. Trim off any exposed tendon ends from the wide tips of the chicken tenders, if necessary. In a medium bowl, whisk 1/4 cup of the mayonnaise with the hot sauce, cayenne, and 1/8 tsp. salt. 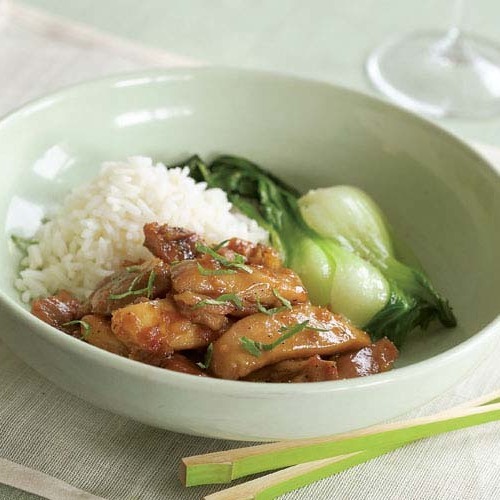 Add the chicken and toss with your hands to coat well. Coat each tender in the panko and arrange in a single layer on a heavy-duty rimmed baking sheet. Refrigerate while you heat the broiler and make the sauce. Position an oven rack 6 inches from the broiler element and heat the broiler on high for at least 10 minutes. Meanwhile, combine the remaining 1/2 cup mayonnaise with the blue cheese, sour cream, milk, 1/2 tsp. salt, and a few grinds of pepper in a medium bowl. Whisk until well combined and only small bits of cheese remain intact. Broil the tenders, flipping once, until they are crisp and golden brown in spots on the outside and cooked through, 4 to 6 minutes per side (rotate the pan as needed for even browning). 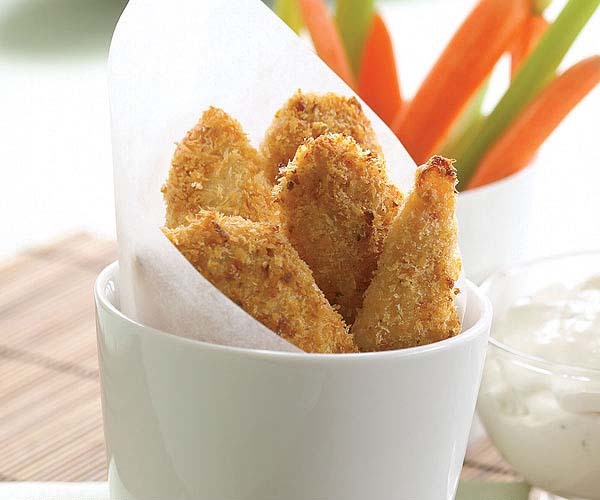 Transfer the tenders to a platter or to individual plates and serve with the dipping sauce. As with Buffalo wings, fresh carrot and celery sticks are perfect here. This was so easy! I have tried a few different ways of baking instead of frying "breaded" chicken, and this is by far the best and easiest. I would even change this up with herbs and parmesan instead of the hot sauce for variation. Great for a week night... or a party!